“He tells me, ‘My heart is beating very fast, Papa. I can’t even breathe properly. I don’t think I will live for very long. I can’t bear to see you working hard like this…I know we don’t have the money for my surgery.’ He knows everything about his disease and thinks he will not survive. 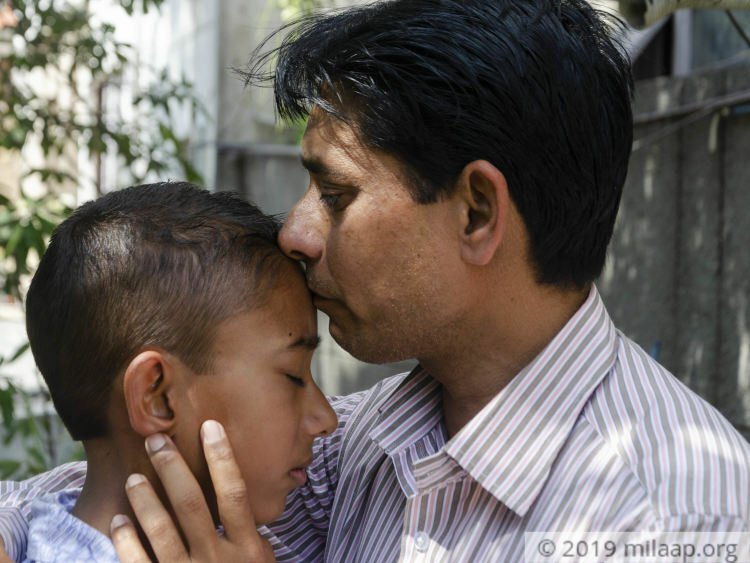 I try to reassure him that I will find a way to arrange the money soon and that everything will be alright, but he keeps crying,”-Rajesh Kumar, father. 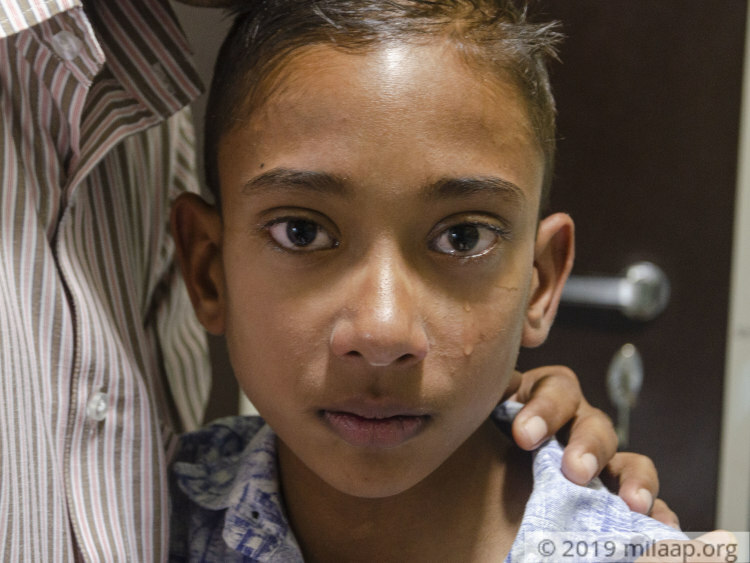 13-year-old Anunay is suffering from double inlet single left ventricle (DILV) , a congenital heart condition in which only there is only one working pumping chamber in the heart. This means that oxygen-rich blood mixes with oxygen-poor blood. The mixture is then pumped to both the body and the lungs, which results in lower-than-normal levels of oxygen in the body. His heart may fail any time now – he needs an open heart surgery at the earliest. One day when Anunay was a 6th grader, he collapsed in class. His class teacher noticed that his lips and nails turned blue and immediately took him to the doctor. The poor child was also not able to walk properly. 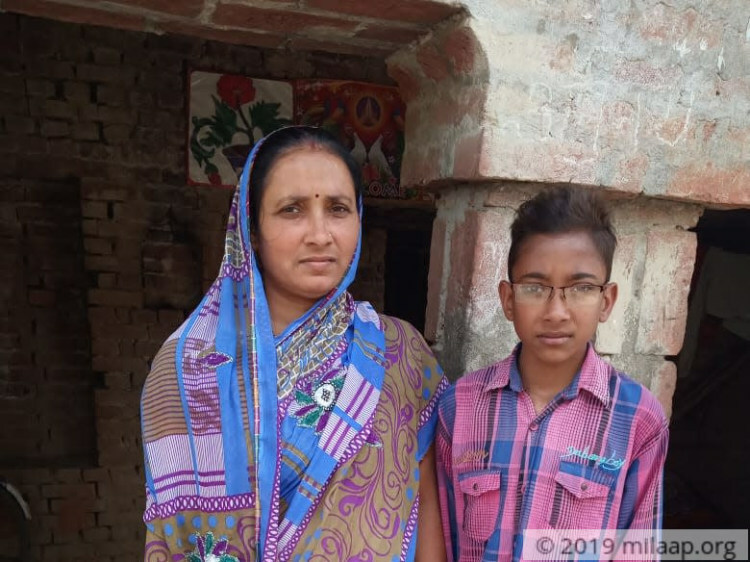 His parents took him to a local hospital in Ayodhya, their hometown, where doctors gave them the unfortunate news that their child was a heart patient. 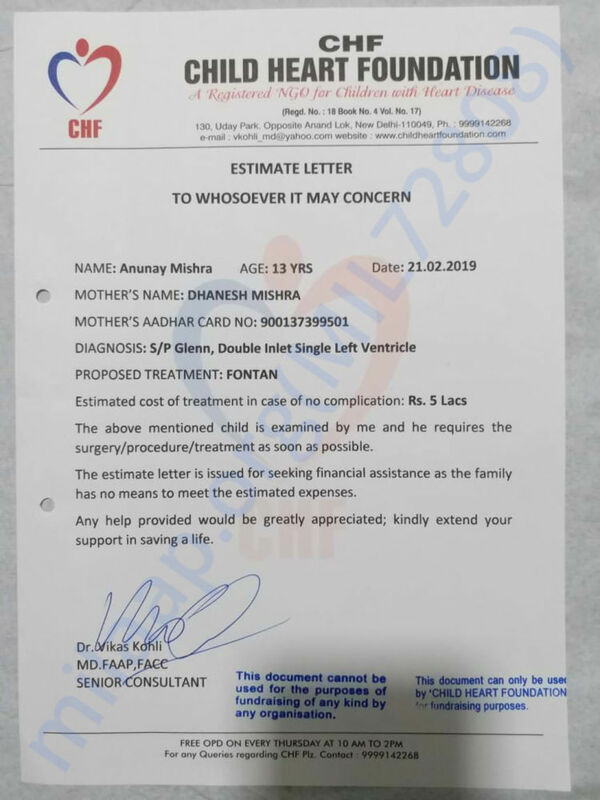 He was advised to go to Delhi immediately for a surgery, but the parents didn’t have enough money for it then. 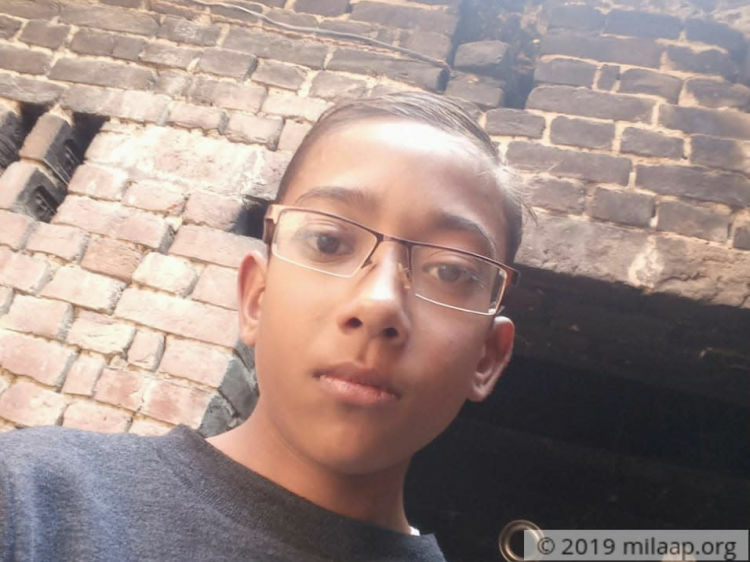 Anunay had to stop going to school recently after his symptoms got worse. Now, he cannot walk even 100 m without panting. His stomach hurts and he runs out of breath from time to time. But he does not waste time and sit idle. He studies all the time, even when he is not feeling that well. “He loves Maths and Science. He forced me to get him 9th class textbooks in advance, so that he can prepare for school next year. My son has big dreams – he wants to get a good job when he grows up and wishes to take care of us well in our old age. But if he does not get the surgery soon, we fear he may not live that long,”-Rajesh, tearfully said. Rajesh Kumar is a farmer who harvests wheat and sugar cane in the half acre land that he owns. But whatever he reaps is just enough to meet the food requirements of the household. To supplement his income, this graduate takes Maths and Science tuitions. But even with that he is able to earn only Rs 3,000 a month. He had to take huge loans to pay for his son’s first surgery and has not paid them back yet. He cannot afford to save him now.